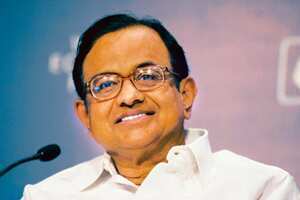 New Delhi: Finance minister P. Chidambaram on Tuesday vowed to “stimulate" economic growth and asked the industry to cut prices to boost demand. Speaking at the India Economic Summit organized by the World Economic Forum, Chidambaram said: “Hotels must cut tariffs, airlines must cut prices, real estate (companies) must cut prices of homes, (and) car makers and two-wheeler makers must cut prices. The classic response to a demand slowdown is to cut prices for a short term. That’s a much better option than allowing inventories to build up." 5d50e526-b57f-11dd-aece-000b5dabf613.flvBut industry’s response to his appeal was lukewarm. Bajaj Auto Ltd chairman Rahul Bajaj said there is little scope for price reductions in the two-wheeler industry. “This (two-wheeler) industry has a margin of about 4-5% only, and in the near future, we do not see any price cuts." However, Godrej group chairman Adi Godrej told Mint: “When you cannot sell more, it is better to cut prices and increase sale." The finance minister said the government will take measures to stimulate the services sector. “Agriculture (growth) is robust. We will ensure that the services sector, dominated largely by small-scale industries are provided with adequate liquidity so that they can carry out their business. And we will take steps to stimulate domestic economy to compensate downsizing caused by downturn in the world economy," he said. Chidambaram also said the current crisis will affect exports, capital inflows and external credit, but he said these are not insurmountable problems. He was confident the measures being taken will help economy grow at a satisfactory rate this year and growth will bounce back next fiscal.